Does Hampton Supportive Care, Inc offer the following services? 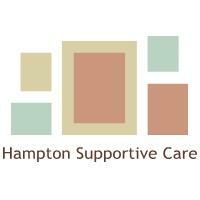 Hampton Supportive Care is community based living for older adults dealing with mental illness, complex social issues and other disorders. We are licensed by the State of Wisconsin as a community based residential facility. We offer semi-private and private rooms which include assistance with personal and medical needs. Our compassionate staff meets our residents needs through excellent personalized care and services. Whether a resident is independent or requires some assistance, we have the ability to address their needs while providing a unique, understanding environment that promotes success. By dealing with behaviors and other issues that are common with mental illness and related disorders in a proactive manner, residents enjoy life while functioning at their full potential. A personal assessment determines an all inclusive monthly rate which allows the resident to only pay for the services that are needed. Some funding options may be available. At Hampton Supportive Care, it is our mission to celebrate and respect the individuality of each resident.